We don’t make enough toe-curlingly spectacular desserts around here, so we bit the peanut brittle bullet with our sweet teeth and began to explore. Well, somebody had to do it. We weren’t looking for just any old chocolate explosion, or blowtorched caramel creme, of course. We wanted spring on a plate, sugar white clouds, lightness, birdsong, the fruits of frisky Spring, succulent strawbs and ruddy rhubarbs! 1. 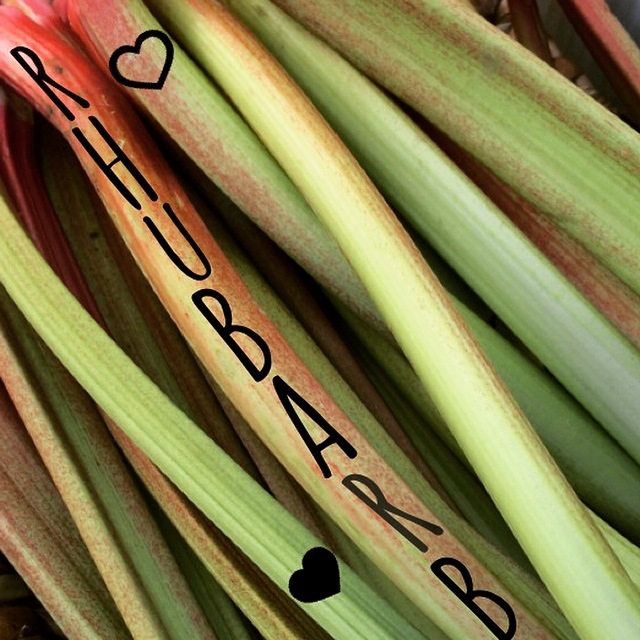 Try Donna Hay‘s rhubarb, apple and raspberry pie. 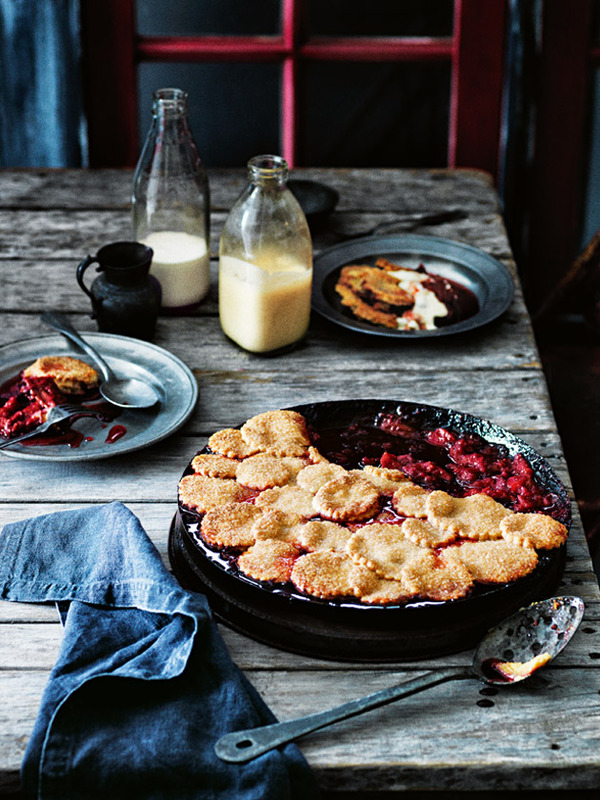 This pie with its trio of spring fruits led by the sweet-sharp rhubarb is a beautiful thing from Australia’s famed author/food editor. 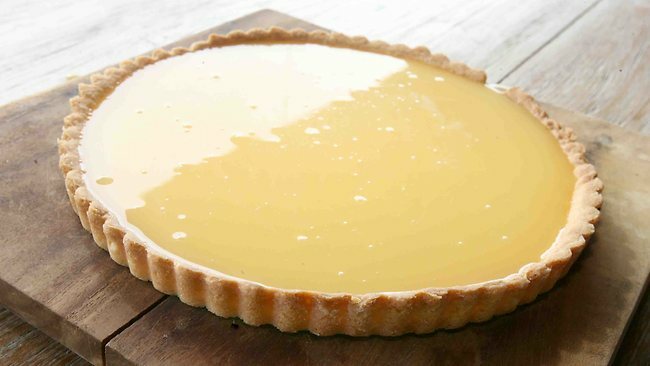 The fabulous Meyer Lemon Curd and Lemon Tart from ex Panisse chef David Lebovitz (voted one of the top 5 pastry chefs in the Bay Area) and now American-in-Paris . 3. 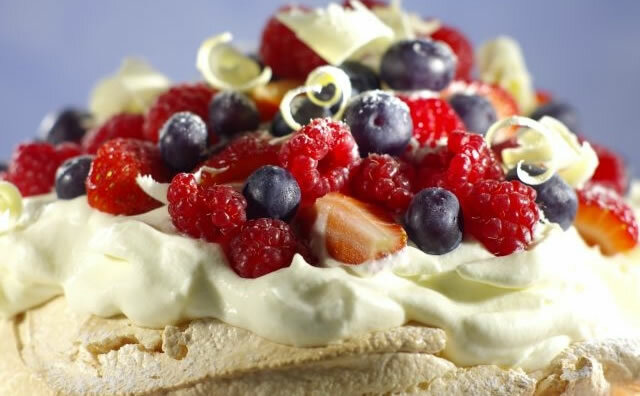 Pavlova, with its ‘sweet crunchy meringue crust, marshmallow-like centre, topped with clouds of cream and berries’, is said to have been invented in the kitchens of a New Zealand hotel in honor of the visit of the Russian prima ballerina Pavlova in the ’30s. No wonder the Obamas like the Beach Plum when Spring is in the Air. 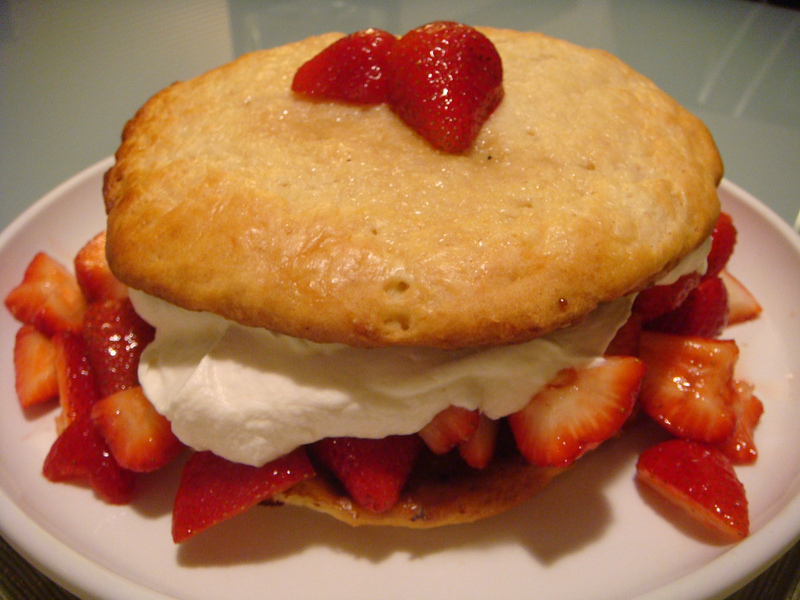 Glory in these Strawberry Basil Shortcakes. Spring is sprung! 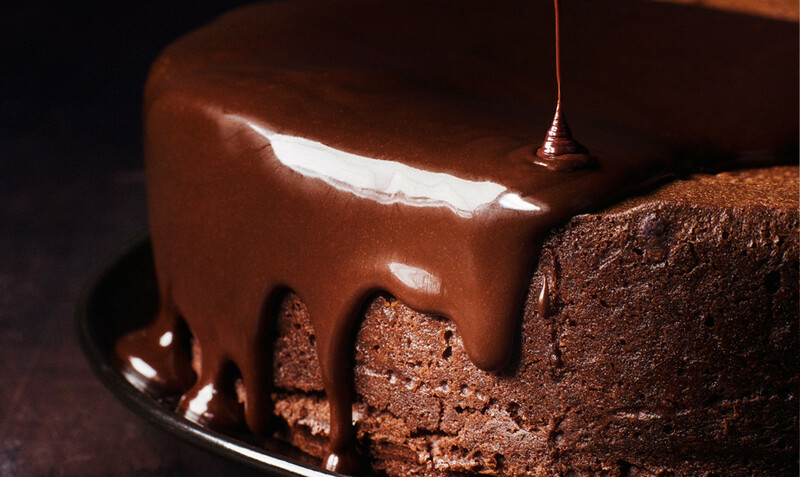 Delve into the delicious!